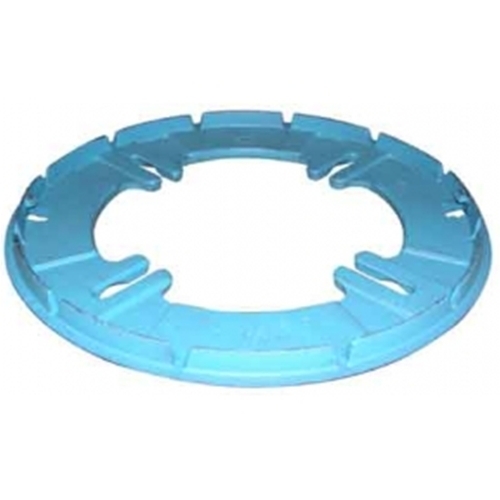 Universal Clamping Ring for Zurn drain. Specially designed bolt pattern matches the more common 15" & 16" roof drain bodies. Bolt pattern ranges from 7-7/8" to 10 1/2" Blue in color.